Report on member attendance at 2016 IAJGS Seattle conference. 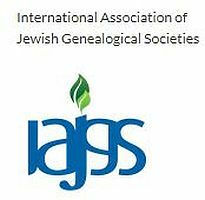 A panel on the recent International Association of Jewish Genealogical Societies (IAJGS) meeting was our program. 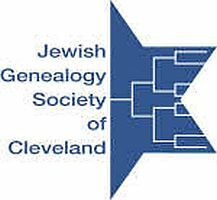 Sylvia Abrams, Phyllis Bravo, Kenneth Bravo, Amy Wachs and Helen Wolf reported on the 36th Conference of the International Association of Jewish Genealogical Societies held in Seattle. The panel shared conference sessions and experiences such as: writing family stories; how to evaluate records based upon source type; special interest groups; and featured speakers. Grant Gochin spoke aboout how and why he litigated against the Lithuanian government many times over returning citizenship to those of Jewish ancestry and forcing their hand in ceasing to honor Holocaust Perpetrators. Citizenship and legal status affected every aspect of life in the “old country.” Mr. Gochin related a 100 year story of how the Lithuanian government abused national laws causing multiple Jewish deaths in 1922 and how that government continued that behavior four generations later. He documented one Jewish family’s deportations, deaths, abductions and movements. Jewish grave markers vary in size and style; they are often a key to discover a family’s history. Rabbi Burnstein discussed how to decipher symbols, Hebrew names, dates, abbreviations, and quotations. He told of ways families use the information on grave stones to uncover lost histories. Daniel Horowitz showed how to access genealogical resources and other useful databases available in Israel, that can be accessed online to find relatives. He shared how English speakers can overcome the barrier of the language with a basic lesson of Hebrew and how to translate efficiently to English. Israel has a growing number of websites and digital resources that can be searched via the Internet in English and in Hebrew. A fast introduction to Hebrew, the keywords needed and the translation tools available was provided to assist with the vast array of places where one can find information about people that have been born, lived or died in Israel. Mr. Bitterman shared ways he researched how his father, Mayer Bitterman, survived the Holocaust, locations of the family throughout the Holocaust and those who were righteous among people encountered. 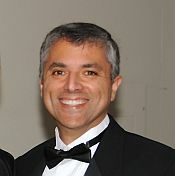 Mr. Bitterman illustrated ways to find lost family, explored different methods to recover World War II documents and provided web sites and contacts. He also suggested procedures for saving the individual histories of victims of the Holocaust. 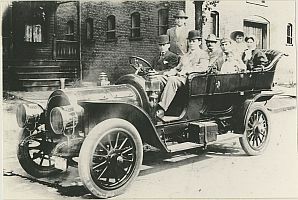 Authors Ed Abramson and Ellen Pill discussed the experience of Jewish immigrants in Wooster -- and how their experience paralleled and differed from that of Jews in other communities. In the words of Ed -- "Although the horse died...we survived!" 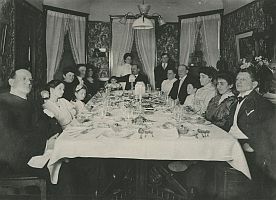 JewishGen’s free, easy to use website features thousands of databases, research tools and other resources to help those with Jewish ancestry research and find family members. 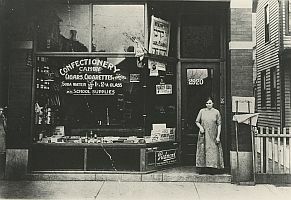 Currently, JewishGen.org hosts more than 20 million records, and provides a myriad of resources and search tools designed to assist those researching their Jewish ancestry. Ms. Regev explored some of the hidden gems and present strategies for maximizing research with JewishGen.org, ALD (All Lithuanian Database) and Jewish Records Indexing-Poland. Ms. Cheveroux told how to care for family heirlooms and other treasures. She walked participants through the basics of collections care at home, introducing the agents of deterioration as well as the science behind preservation practices, and offering suggestions for properly handling and storing your precious artifacts. After the announcement that Ancestry.com would no longer distribute Family Tree Maker, genealogy novices and experts were seeking advice on what program to use in the future. Norm demonstrated programs that organize genealogy data. 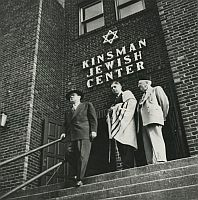 Ms. Englander, who had recently returned from the dedication in Seduva, Lithuania of a restored cemetery, new memorials and monuments, and a forthcoming museum to commemorate its once-thriving Jewish community, shared how a detour in one's genealogical research can lead to unusual and exciting circumstances. Mr. Barrow demonstrated the project's web site, (ClevelandMemory.org), and showed how to apply its contents to genealogy research.